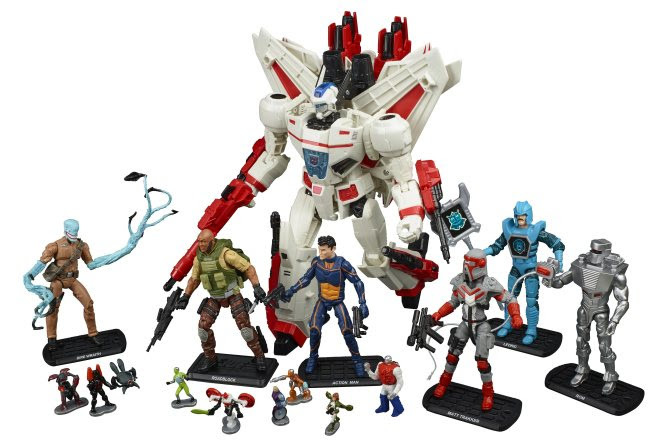 Hasbro recently unveiled a San Diego Comic-Con Collection set of action figures based on the comic book crossover series REVOLUTION, which itself was based on the action figures from Hasbro. In REVOLUTION, iconic Hasbro properties including TRANSFORMERS, G.I. JOE, MICRONAUTS, ROM, ACTION MAN, and M.A.S.K. : Mobile Armored Strike Kommand were brought together into one shared universe for the first time in their long history. REVOLUTION’s success in combining these worlds resonated with readers and lead to fans demanding new action figures based on the popular redesigns created for the series. The well-received event series was co-written by Cullen Bunn (MICRONAUTS) and John Barber (TRANSFORMERS) with dynamic art by Fico Ossio(REVOLUTIONARIES). It was supported by multiple tie-in issues from the aforementioned lines, all of which will be represented in the REVOLUTION toy line. Artists David Messina (ROM), Tony Vargas (M.A.S.K Mobile Armored Strike Kommand), and Max Dunbar(MICRONAUTS, FIRST STRIKE) will see their newly redesigned versions of these classic toys straight out of the pages of the IDW comics and turned into action figures that fans can purchase exclusively at the Hasbro booth (#3329) at SDCC (while supplies last) and take home! This will be the first ROM toy since its inception nearly four decades ago, over three decades since the last MICRONAUTS toys were produced, and nearly two decades since the last line of M.A.S.K. Mobile Armored Strike Kommand toys. In addition to the action figures, you can put your fandom on display with a set of REVOLUTION enamel pins based on TRANSFORMERS, G.I. JOE, and ROM, available at the IDW Publishing booth (#2743) during San Diego Comic Con (while supplies last). 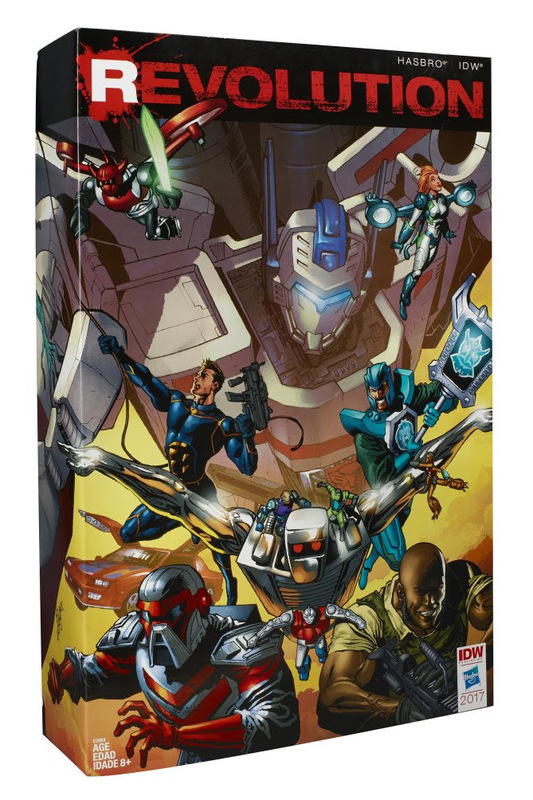 REVOLUTION’s impact on IDW’s Hasbro line of comics continues to this day as the company gears up for FIRST STRIKE, the next major Hasbro comic book event series that once more brings these heroes together to wage war on Cybertron, and the stakes have never been higher. Get caught up on REVOLUTION in collected trade paperback and digitally before FIRST STRIKE kicks off in August!